Even without a devastating hurricane, farmworkers face slow, steady invisible disasters of low wages, unsafe working conditions, the breath of ICE down their necks, wage theft, and even modern day slavery. 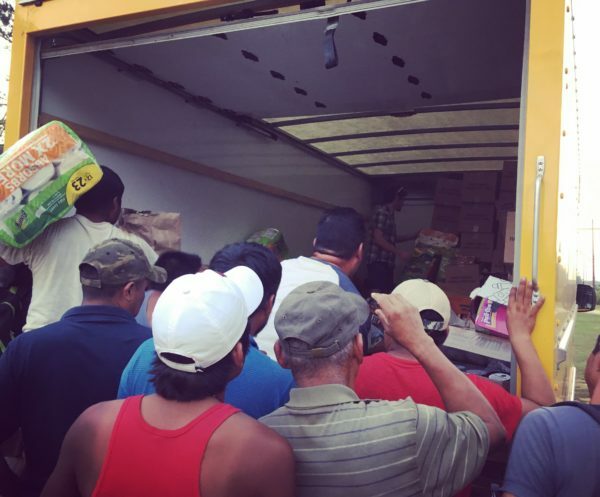 Organizations like the Coalition of Immokalee Workers, United Farmworkers, and Farm Labor Organizing Committee are working to change this reality. However, for many farmworkers, change can’t come fast enough. 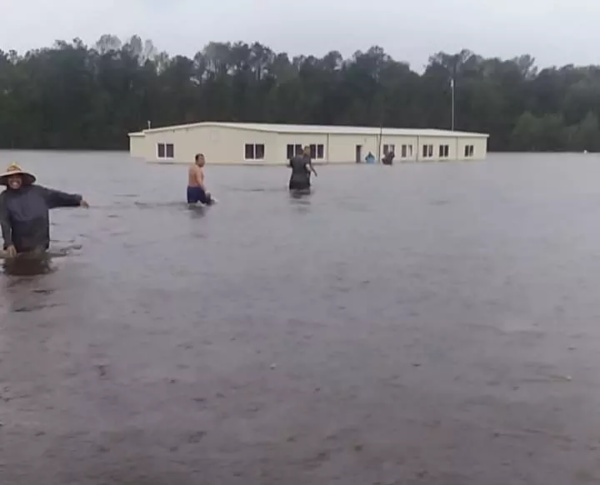 During the floods of Hurricane Florence, county officials ignored 911 calls from migrant farmworkers abandoned and trapped in the floodwaters, proving once again that we are all we have and we cannot rely on the authorities or “experts” in times of crisis. We must be there for each other. Post-Florence, farmworkers in North Carolina continue to work tirelessly in tobacco, sweet potato, and other fields. In some instances, workers are wading through over a foot of flooded farmland digging up sweet potatoes. Moldy potatoes go in one bucket, and non moldy potatoes go in another. Workers are not given a minimum wage, but instead paid .40 – .50 cents per bucket for this demanding work, and are threatened if they report abuses. Many farmworkers in North Carolina were out of work for weeks after Hurricane Florence. 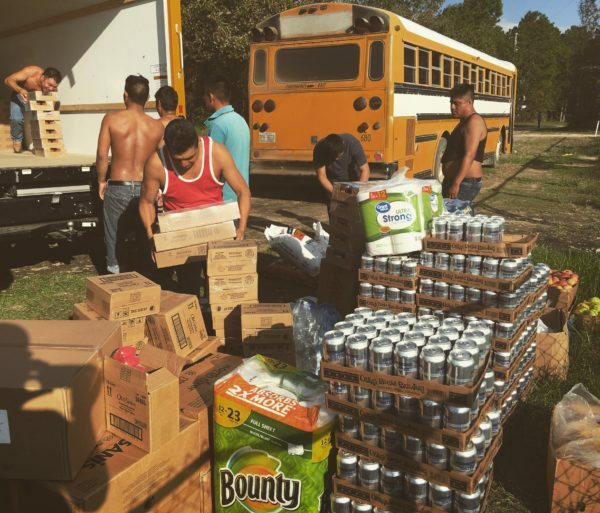 Since the storm, we have been steadily getting culturally appropriate food and other needed supplies directly into the hands of migrant farmworkers. We know the disaster didn’t begin with Hurricane Florence. Migrant farmworkers in communities from Florida, to North Carolina, to California are struggling daily through ongoing crises and inviting us to walk side by side and envision a revolution in the agricultural industry ensuring dignity and safe, just working conditions for all farmworkers. We also know that there are times when solidarity doesn’t look like a march, but instead frijoles, tortillas, and hot sauce shared without stigmatizing roles or paternalistic hands. If your hands want to join with ours, if your feet long to find themselves walking these paths, there is much work to be done. And we are only limited by our imaginations.